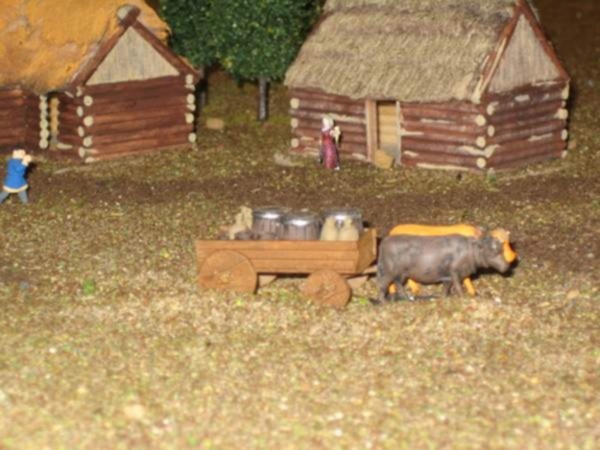 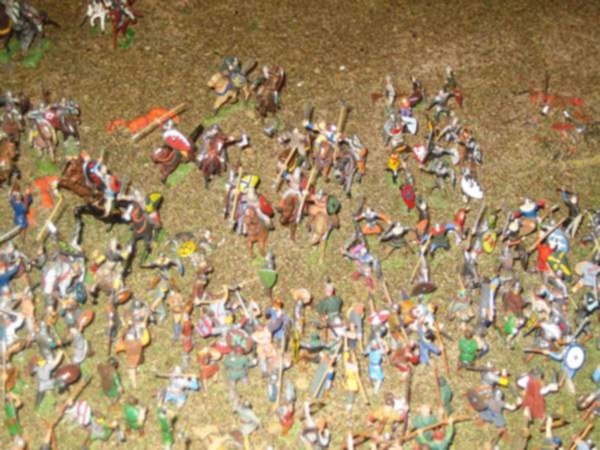 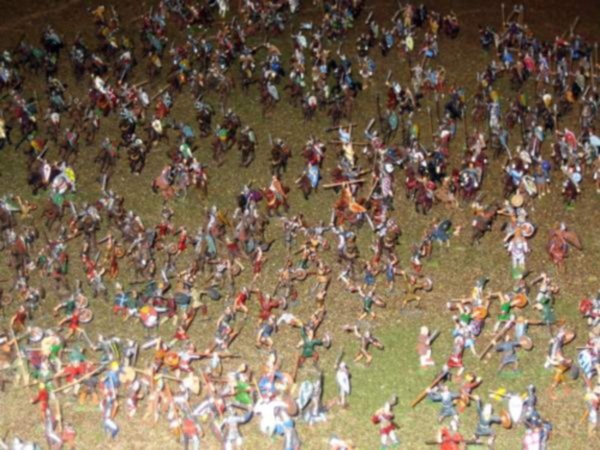 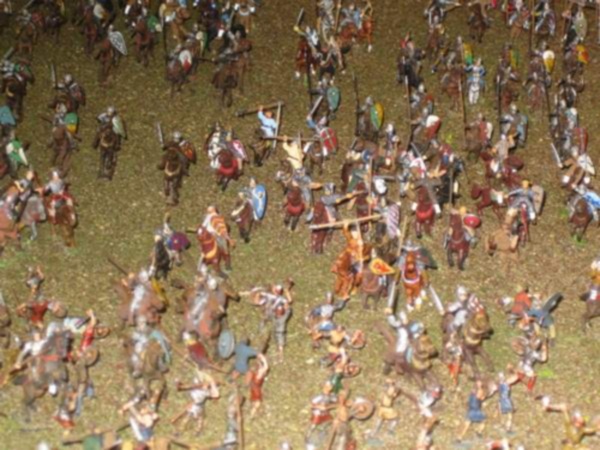 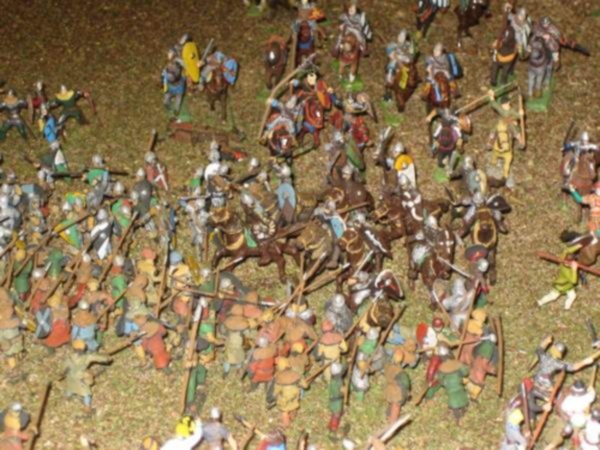 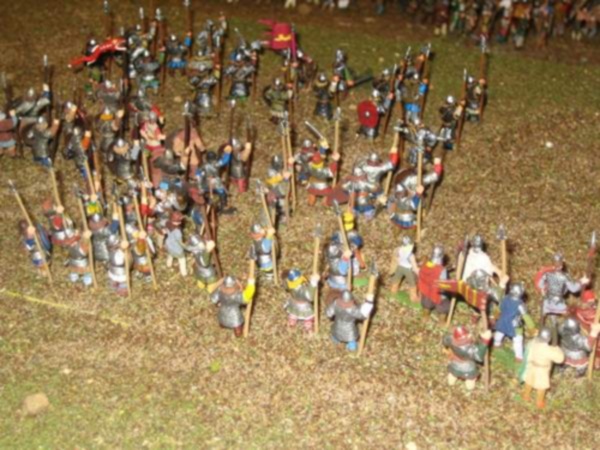 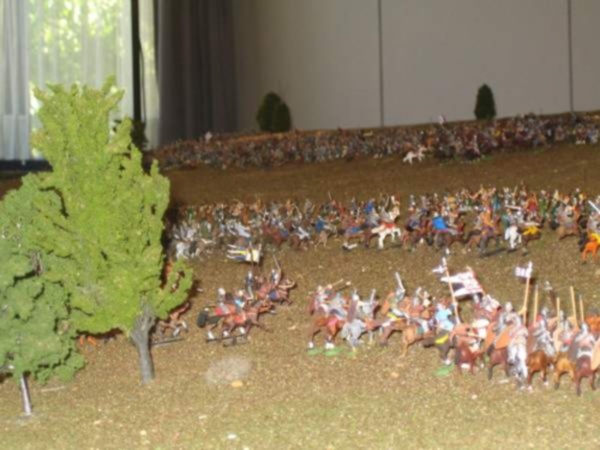 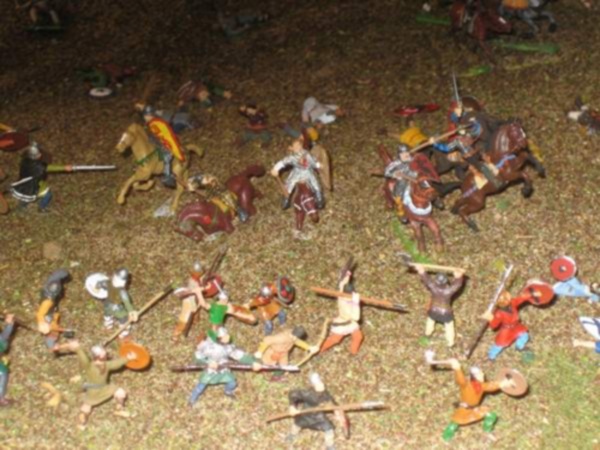 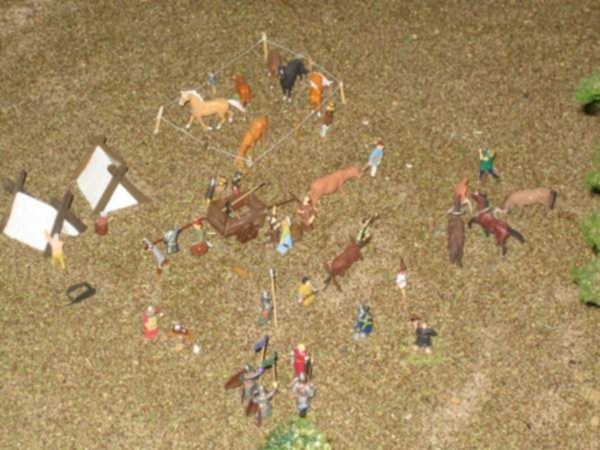 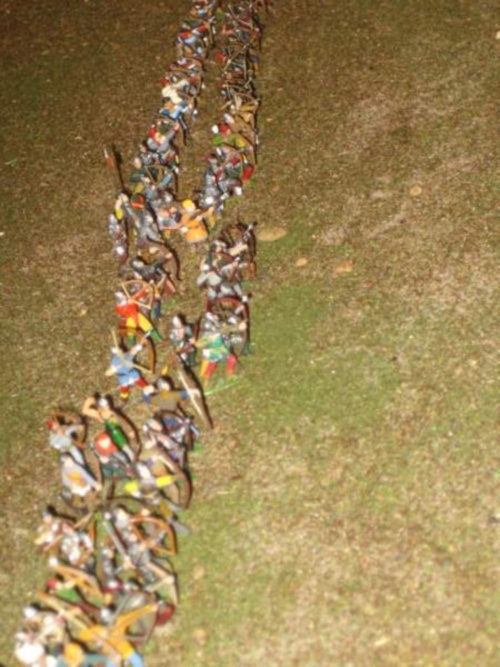 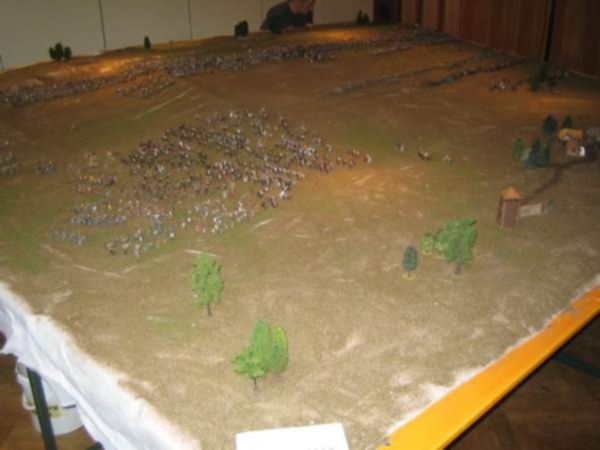 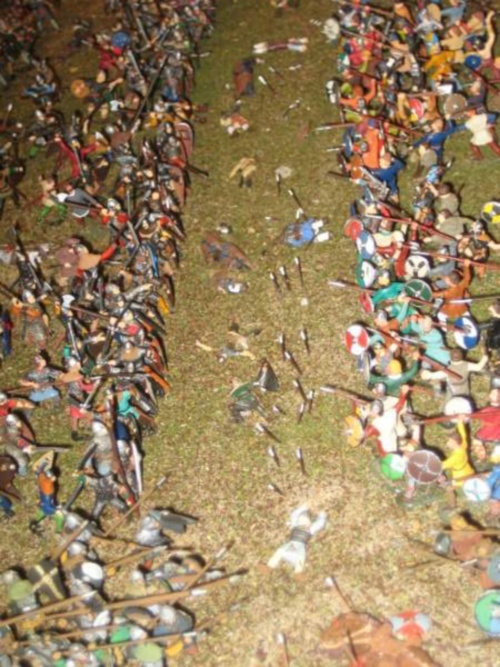 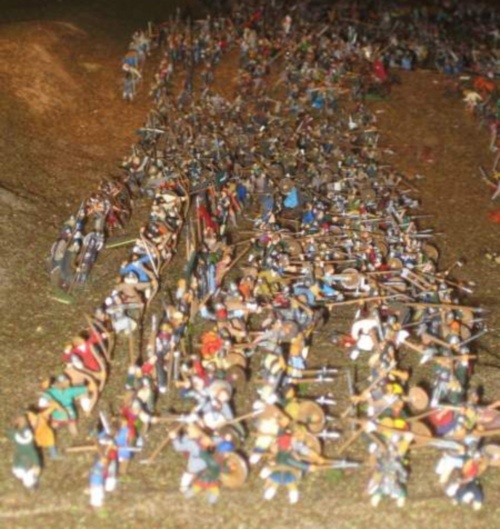 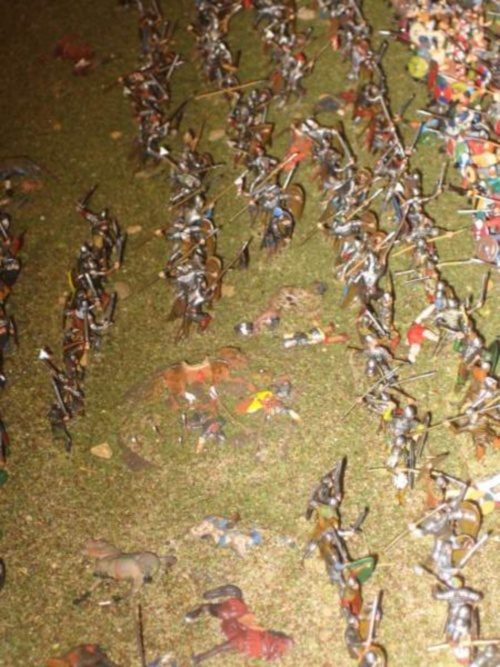 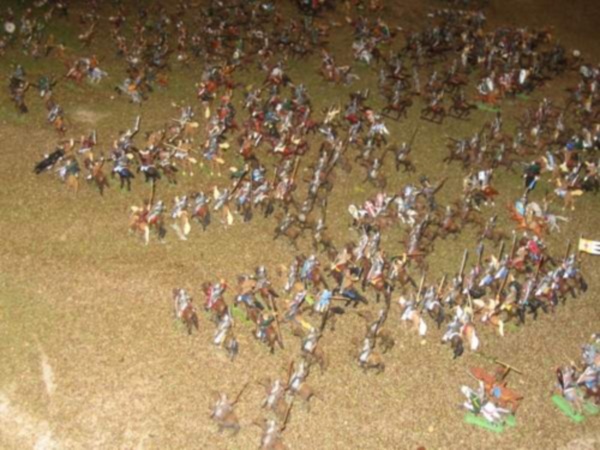 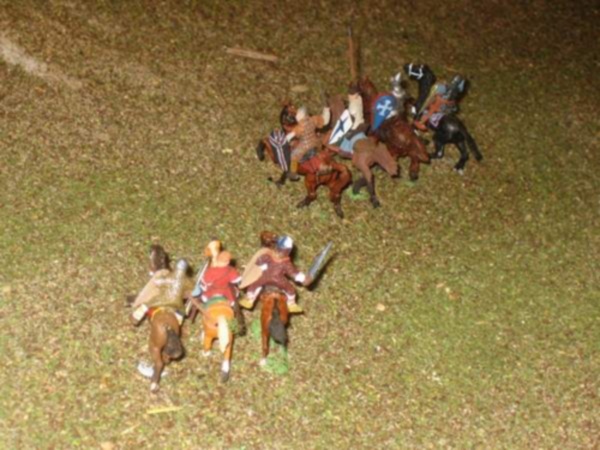 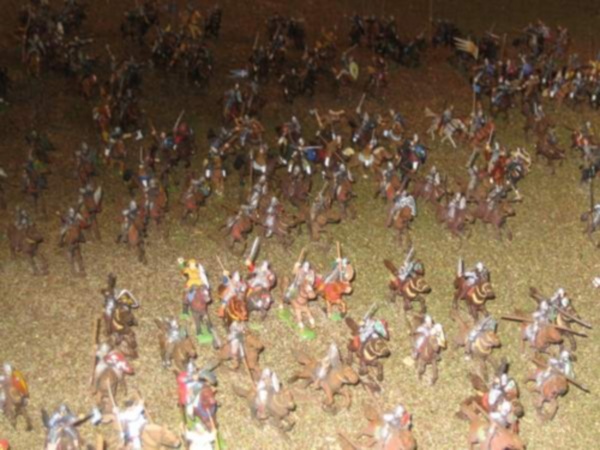 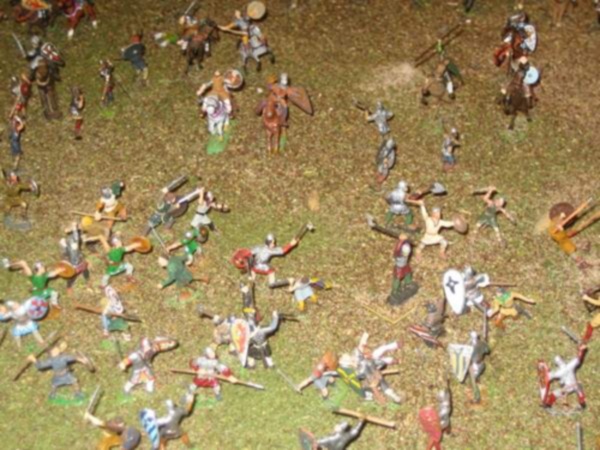 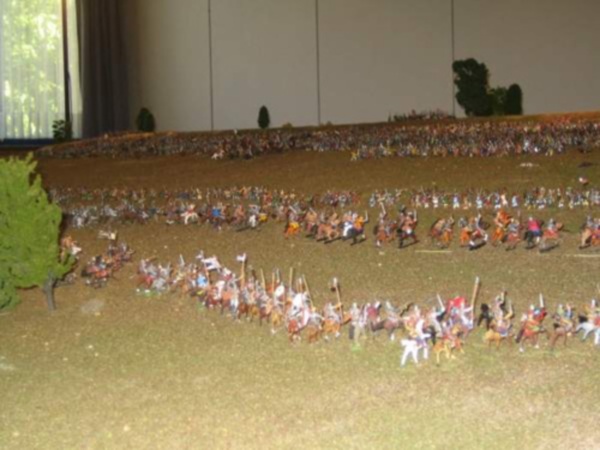 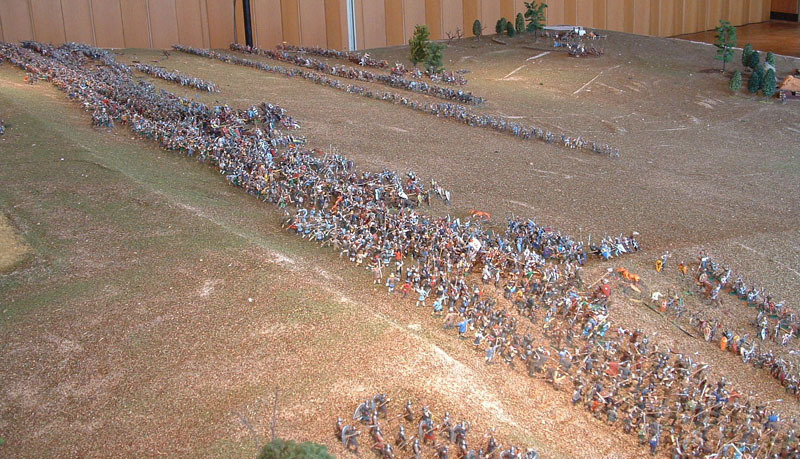 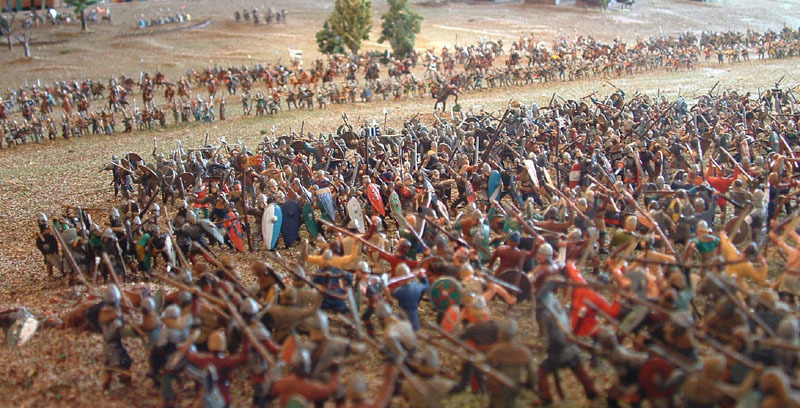 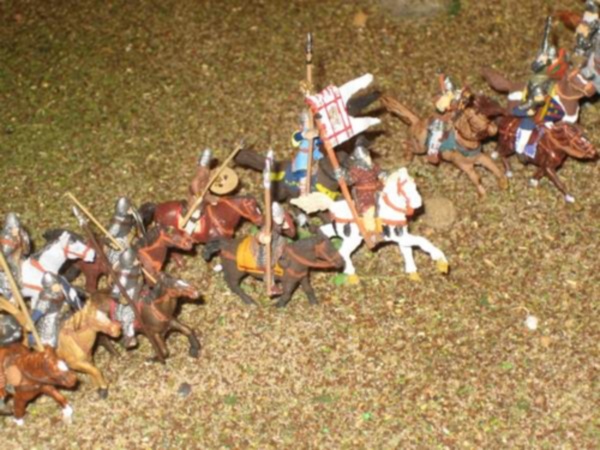 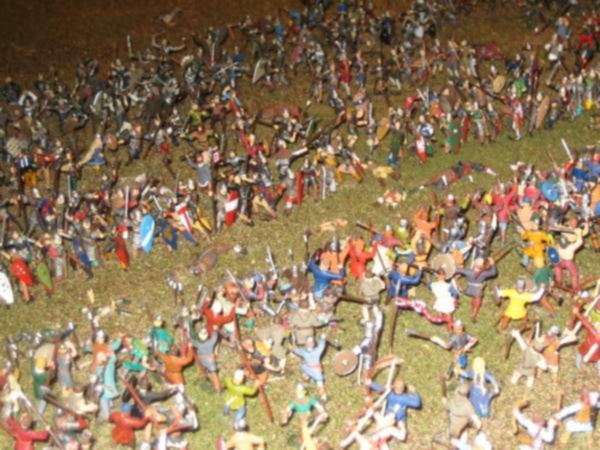 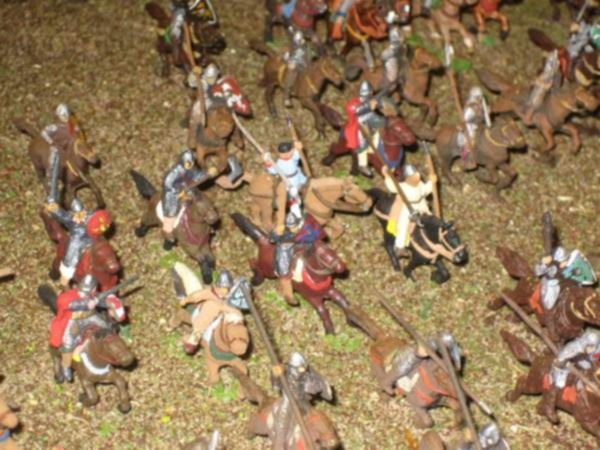 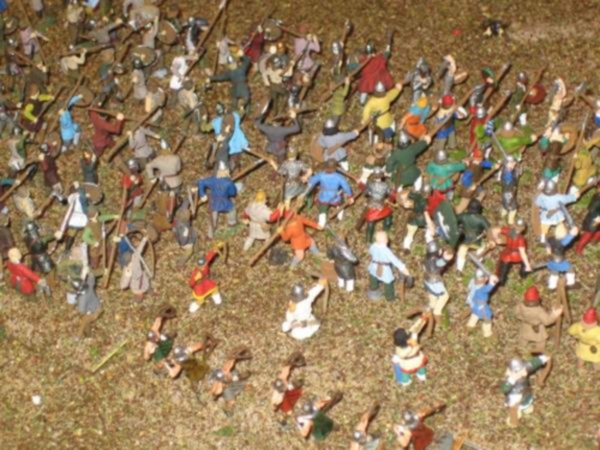 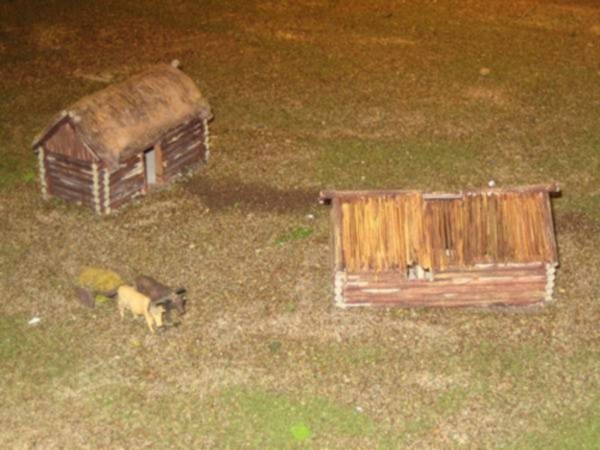 The diorama shows one of the earliest parts in the battle when the Bretons on the left Norman flank panicked and run away. 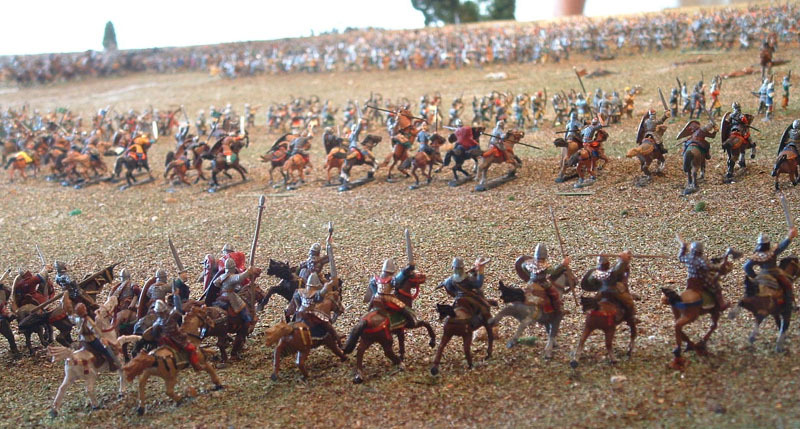 Some of the Saxons followed them and wanted to end their misery. 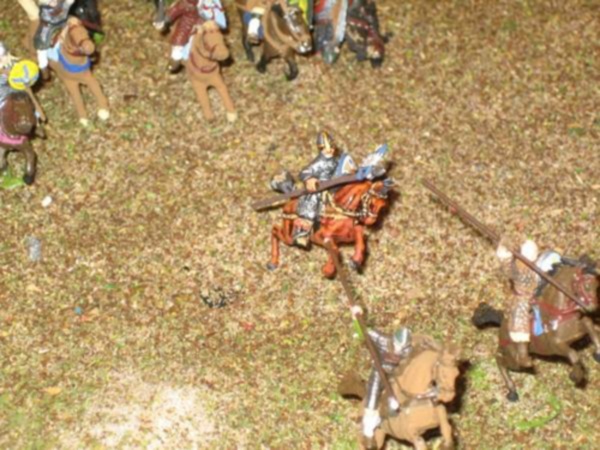 Well, they gave a perfect victim for the Norman cavalry. 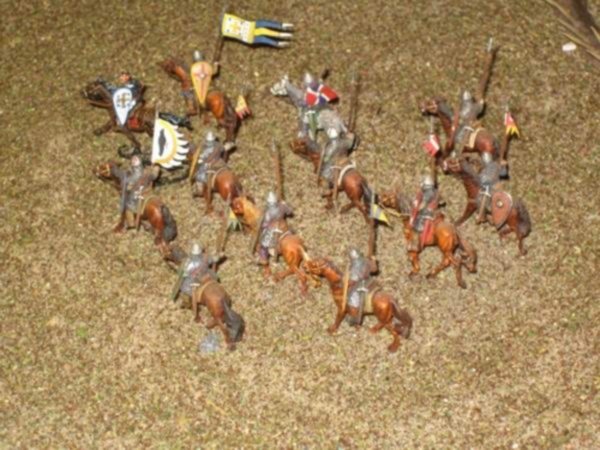 After this the Normans tried the same faked retreat two times with the same success. 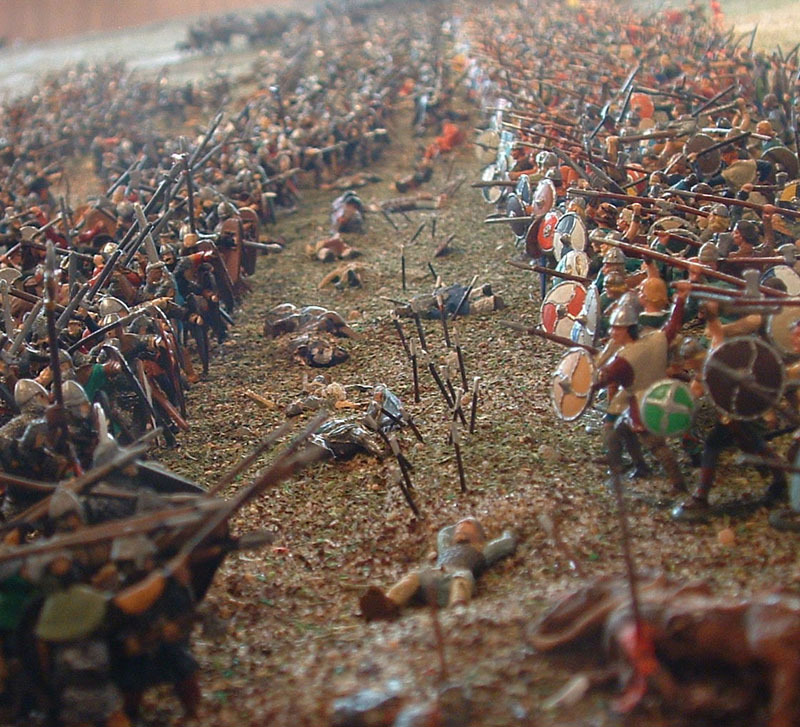 At the rest of the line the close combat is still in process.